Alloy Tech offers our customers consistent quality, quick turnaround, personalized service and cooperation. ultra-pure applications – semiconductors, medical devices, pharmaceuticals, aerospace. commercial & process applications –marine, automotive, food & beverage processing, and related industries. High-purity electropolishing of stainless steel parts used in semiconductor and medical industries. 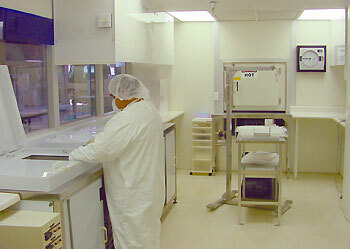 Electropolishing of cleanroom furniture and equipment: frames, table tops, wire shelving, hoods, storage enclosures. Electropolishing of small or large tanks and vessels. Electropolishing of any stamped, machined, or cast parts in any type of stainless steel, titanium, or other alloy. Custom approaches to electropolishing of very large or difficult-shaped parts. 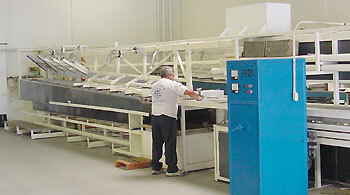 Tube electropolishing (ID and OD): 1/8” to 10” diameter; up to 24’ long. High purity semiconductor-grade EP and Class 100 cleanroom packaging of tubes up to 1” diameter. Degreasing and oxygen-clean finishing of tubes and pipes. Nitric acid passivation (QQ-P-35, MIL-S-5002, etc.). Chelant passivation (citric acid-based, three-stage process). Pickling and passivation of large tanks and vessels (up to 10,000 gallons or more). 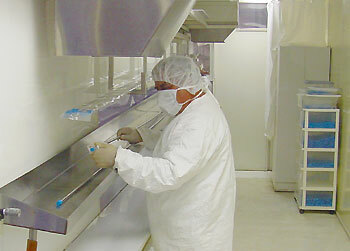 High-purity cleaning and drying in an on-site Class 100 cleanroom. All parts are rinsed in hot 18 mega-ohm DI water and dried with a high-purity HEPA dryer in a Class 100 cleanroom. Parts are purged with high-purity nitrogen then packaged and sealed in a Class 100 cleanroom area per customer specifications. All jobs are completed and certified to Federal, MIL, customer, or Alloy Tech specifications. Other tests and certificates (SAM, SEM, ESCA, Salt Spray Test, etc.) available on request. ISO 2003 compliant.